Peoria County sheriff candidates Brian Asbell (right) and Brian Fengel (left), came to Bradley to answer students’ questions ahead of the elections on Wednesday. 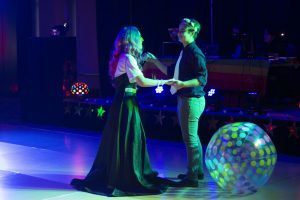 Photo by William Craine. With election day quickly approaching, local candidates are busy campaigning to secure their votes. 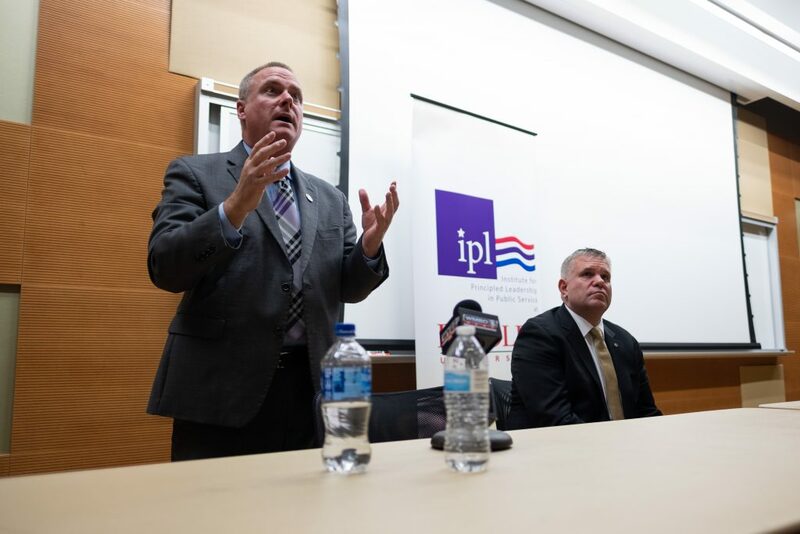 Two Peoria county sheriff candidates, incumbent Peoria county sheriff Brian Asbell and Bartonville Chief of Police Brian Fengel, visited Bradley to debate on Wednesday evening. 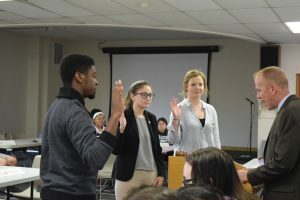 Soon after their opening statements, both Democratic nominee Fengel and Republican nominee Asbell agreed that election of the position should not be based on party. When asked about nepotism, both candidates promised that they will not favor any family or friends if given the power as the sheriff. Democratic candidate Fengel said he will put a policy in place to prevent nepotism. When asked about the increasing opioid crisis across the nation, Fengel said he believes that his experience working as a first responder and his work with the Safe Passages program will help him to deal with this national issue. The program allows for addicts to turn in drugs and ask for help without being charged. Asbell believes all addictions, not just opiod addictions, are a problem. He said the way to reduce the opioid crisis is with medical treatment. He believes locking people up is not the answer. An issue in America today is school safety. The candidates weighed in on the issue. Asbell said he would like to have a resource officer in every school. Fengel said he would look to find funding for schools to have resource officers. Bradley University Institute for Principled Leadership in Public Service and Bradley College Democrats and College Republicans co-hosted the event. The State of Illinois currently still accept online voter registration. Residents can also register at a voting station on Nov. 6 with valid government IDs.